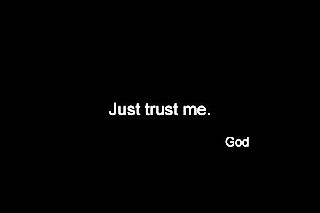 I have found this quote to be comforting whenever I find myself worrying about the future; it stops me in my tracks, and allows me to realize that whatever God’s plan for me is, I am ready and willing to fulfill it. He is in control. As a dancer, this quote has a special meaning to me, but as a person fighting cancer on a daily basis, it means even more. This quote truly represent the way I live my life; for me, each and every day has a little bit of rain, in one form or another; if I waited for these raindrops to pass, I would never get out of bed. I would miss out on all of the “living” that I intend to do; I have learned to dance in the rain, and I realize that it is actually not only fun, but quite revitalizing, as well! 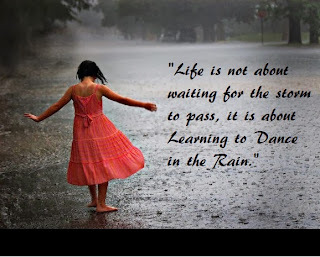 Dance in the rain, stomp in the puddles and enjoy every moment! How true is that? It seems as though every time that I think that I am in control or have a “plan” something jumps in and throws me a monkey wrench! I am grateful that I am an optimistic person that is able to roll with the punches, take each situation as it come and am flexible enough to change paths, without batting an eye. Some of my best memories in life are events that happened when and how they were least expected! 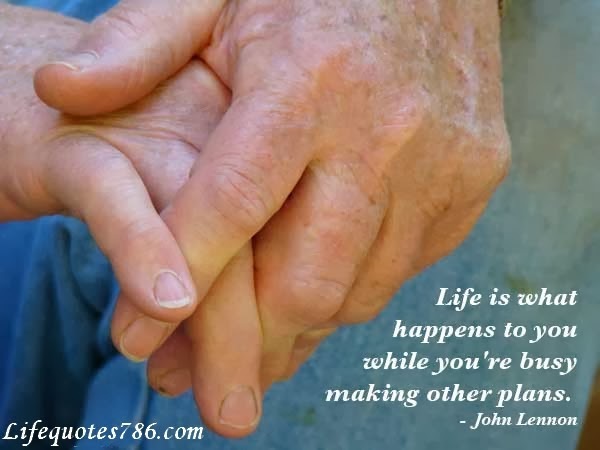 Stop making plans and start living life! Quotes are something that all of us use in our daily lives; there are so many great ones that it is difficult to choose only three. I would love to hear your favorite quote; please share!